Spectroscopy, a powerful tool for analyzing material structure and composition, often encounters difficulties when investigating complex systems, such as soil and water. 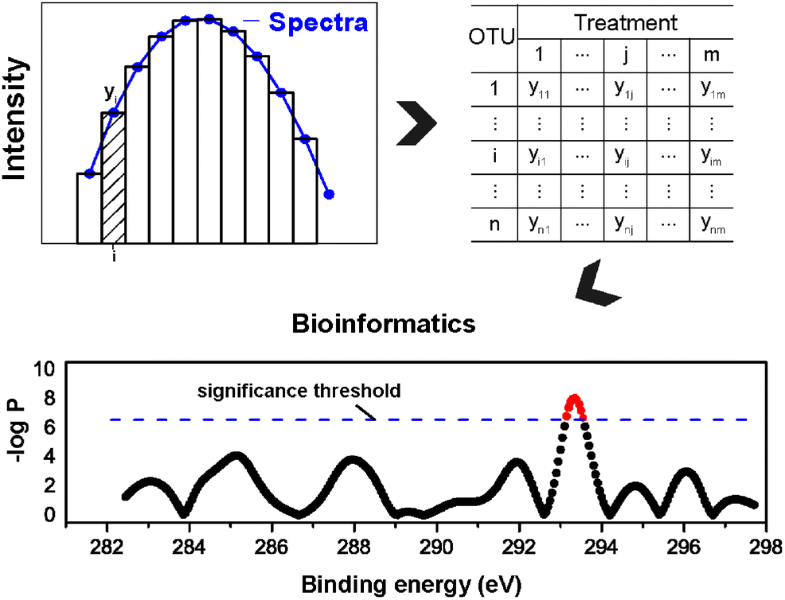 Here, it is hypothesized that bioinformatic methods based on the definition of the operational taxonomic unit can be applied to spectral analysis and to improve the resolving power of spectroscopic approaches. To test this hypothesis, we investigated SOC structure in response to three fertilization regimes using X-ray photoelectron spectroscopy (XPS). The operational taxonomic unit in spectroscopy (OTUsp) was defined and then the Manhattan plots were performed. Our approach turned out to be successful in determining the discrimination of SOC structure, while the traditional peak fitting method of XPS spectra failed. The results were then validated by chemical extraction analysis. Spectral analysis based on OTUsp can supplement traditional spectral interpretation and enhance its usability for studying complex systems. The online version of this article ( https://doi.org/10.1007/s00216-019-01750-0) contains supplementary material, which is available to authorized users. 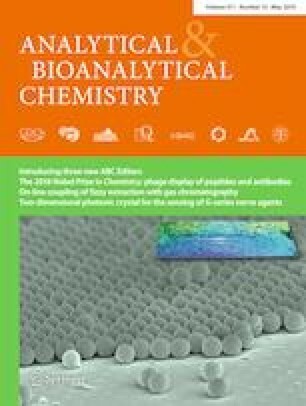 The authors thank Mr. Zhiwen Jiang for his support in XPS and Ms. Xiaoting Wang for her support in lab work. This work was financially supported by the STS Network Initiative of Chinese Academy of Sciences (KFJ-STS-QYZD-020), Key Program of the Chinese Academy of Sciences (KFZD-SW-112-03-04), CAS Strategic Priority Research Program Grant (No. XDB15010103), and Research Program for Key Technologies of Sponge City Construction and Management in Guyuan City (Grant No. SCHM-2018). Taylor AW, Qiu F, Villar-Garcia IJ, Licence P. Spectroelectrochemistry at ultrahigh vacuum: in situ monitoring of electrochemically generated species by X-ray photoelectron spectroscopy. Chem Commun. 2009. https://doi.org/10.1039/B915302K.